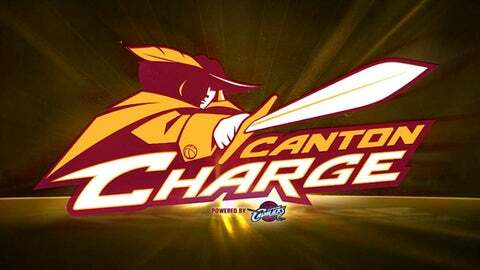 The Canton Charge set a franchise record for field goal percentage in a game by hitting 61% of their shots in a 120-99 home win over the Fort Wayne Mad Ants on Wednesday night. The victory gives Canton sole possession of first place in the East Division at 15-8, while the loss puts Fort Wayne at 14-9 with the 2-1 edge in the season series thus far. Fort Wayne kept the game close early by creating extra opportunities with six offensive rebounds in the first for five second chance points. Kevin Jones and Jorge Gutierrez each scored eight points for Canton and despite trailing by seven points early, clawed back to tie the game at 26-26 after the opening stanza. With the game tied at 28-28 early in the second quarter, the Charge pulled ahead when they rattled off a 9-0 run over a span of 3:05. Bo Spencer led the attack with 12 points on 5-of-7 shooting in the period, as the home team maintained their advantage throughout to take a 57-51 lead into intermission. Canton put the game out of reach in the third by amassing a 20-0 run over 5:54 that included forcing five Mad Ants turnovers and hitting 8-of-9 shots during that stretch. Canton punished Fort Wayne inside by outscoring them 22-6 in the paint in the quarter and led by as many as 27, never looking back. Canton’s 120 total points were a new season-high and the team set another season-best with the 21-point margin of victory. Canton came into the game with the second ranked scoring defense in the D-League by allowing just 98.5 points per contest and are now 12-3 this year when holding opponents below 100. As a team, the Charge hit 47-of-77 shots from the field with seven different players getting into the scoring column and 11 overall. Spencer led the way with 17 points on 7-of-13 shooting with three steals in 29 minutes. Jorge Gutierrez contributed an all-around effort of 14 points on 6-of-8 shooting with nine rebounds, eight assists and two steals in 28 minutes. Cleveland Cavaliers assignment Carrick Felix scored 13 points on 5-of-7 shooting in 30 minutes, while fellow Cavs rookie Sergey Karasev added six points and three rebounds in 18 minutes. Fort Wayne was led by Ron Howard’s 22 points on 8-of-16 shooting in 30 minutes. Trey McKinney Jones added 18 points, including 12-of-12 from the free-throw line, with four rebounds and three assists in 35 minutes. Sadiel Rojas netted 16 points with five rebounds in 32 minutes. The Charge bench outscored Fort Wayne’s reserves 61-33 on the night. The Charge will next head on the road to play the first game of a back-to-back with the East Division Delaware 87ers on Friday, January 24 at 7:00 p.m.